Light up hope with a beautiful candle from a family-owned company. 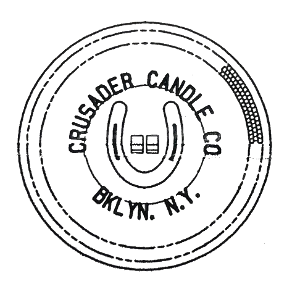 Crusader Candle Company, Inc. has created beautiful and affordable assortments of candles in Brooklyn, NY since 1946. We use only the finest-quality wax, colors, wicks, scents, and glass we can find to create superior products. Thanks to this commitment, we’ve become well-known as an industry leader. You’ll always know you’ve purchased a Crusader Candle Company, Inc. candle when you see the Lucky Horseshoe on the bottom of the glass. Along with candles, we carry many other fine products and accessories, including scented oils. Check our online store to see what’s available now, or reach out to place a more detailed order. 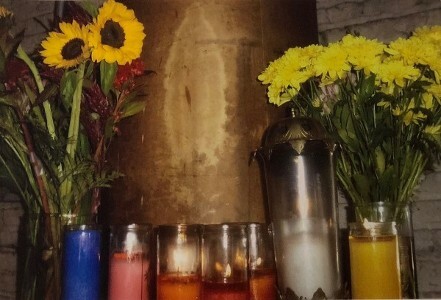 Our factory was blessed with a sign from Our Lady of Guadalupe eight years ago, and to this day we honor her with flowers and candles in our production area. Take your pick of plain and scented candles, or order inspiring candles for religious or spiritual purposes, such as our prayer and Orisha candles. You’re sure to be comforted by their beautiful designs and aromas when you light them. Pullout Candles: These unique candles are among our most popular. Larger than our other candles, they tend to burn longer and fit nicely in glass holders. These are safer alternatives to commonly-used jumbo candles. 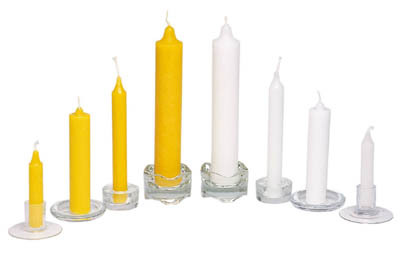 Prayer Candles: Also called votive candles, these are typically lit by Roman Catholics and Anglicans during prayer. They symbolize the light of Jesus Christ and are integral to any mass or church service. Prayer Color Candles: Our prayer candles also come in many different colors, including red, yellow, green, and blue. You can choose green for wealth or blue for tranquility. Prayer Pullout Candles: Now prayer candles are available in your favorite, convenient format. Place your candle in a glass holder to give it a decorative touch and catch melting wax. Orisha Candles: We created these candles especially with Orisha worshippers in mind. They feature many different deities and come in a variety of colors. 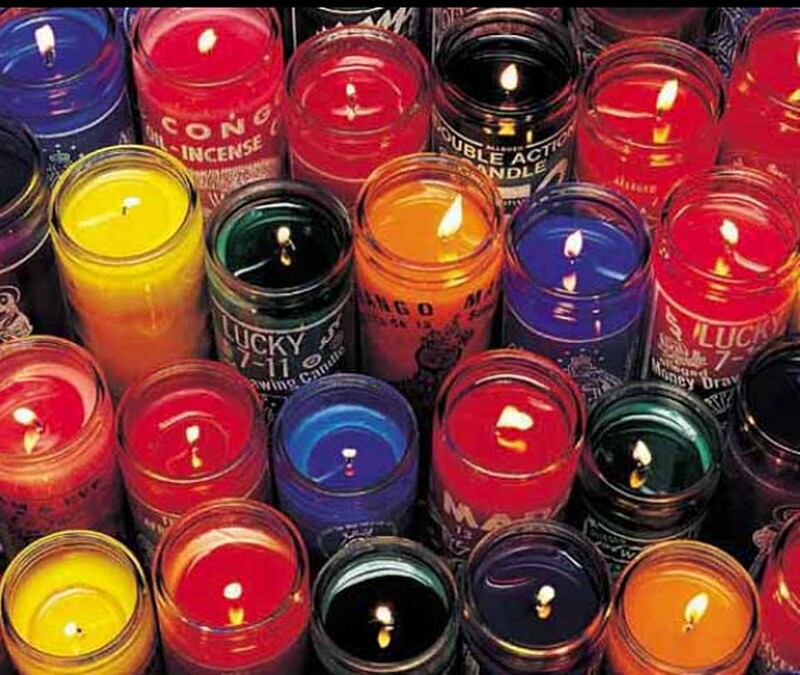 Horoscope Candles: Bring good luck and blessings into your life. Featuring the 12 different astrological signs, these candles attract good fortune and balance. Perfume Candles: Our assortment of perfume candles includes a variety of scents, including cinnamon, coconut, jasmine, and bayberry. Figure Candles: We offer candles that come in a range of figures, including men, women, and animals. Now you can easily visualize the focus of your thoughts or prayers. #7 Plain Candles: Similar to our prayer color candles, we offer #7 plain candles in an array of vibrant colors, including blue, orange, pink, and red. #14 Candles: Much like our #7 plain candles, our #14 candles that come many colors. However, you can also choose from different sizes and designs. 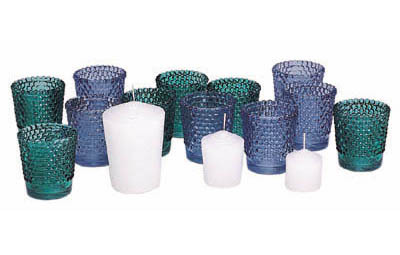 Contact us with questions or concerns about our assortments of candles. We ship to clients throughout the country from our Brooklyn, New York Headquarters. 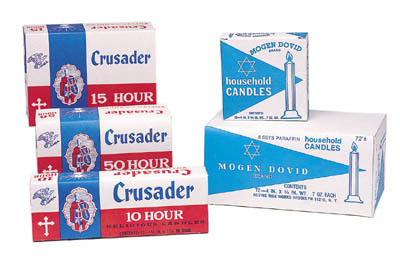 Shop with Crusader Candle for today specialty candles. Take advantage of our affordable scented candles. 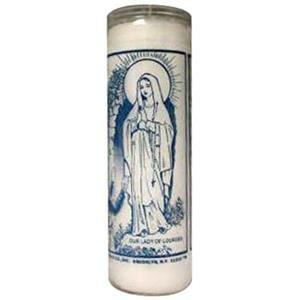 Check out our wide variety of religious candles. as world day of the sick.